A first cohort of nurses is receiving tailored infection prevention training to help counter the growing global threat of antimicrobial resistance. The RCN'S professional development course aims to boost nurses' clinical and leadership skills and lead practice changes. An estimated 5,000 people die every year in England as a result of antibiotics being no longer able to combat some infections. According to Public Health England, nurses have an important role in the fight against antimicrobial resistance. 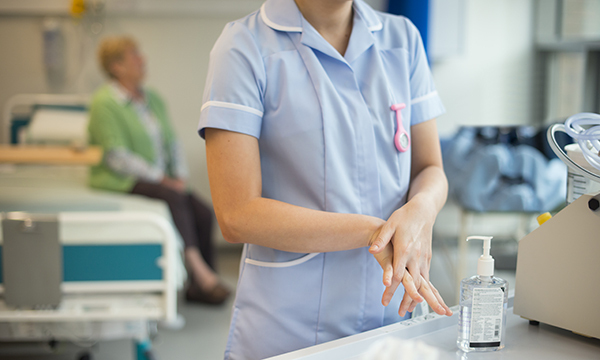 The RCN course is for nurses who work or have an interest in infection prevention and control and it is designed to prepare them for future as well as current challenges. They will learn how to lead a service improvement project in their workplace. In total, 19 nurses have begun the six-month course, which is for band 6 or 7 nurses or equivalent whose roles have an infection prevention element, whether in the NHS, independent sector and social care. RCN professional lead for infection prevention and control Rose Gallagher said: 'As the largest part of the UK’s healthcare workforce, nurses have paved the way as clinical leaders in the prevention and management of infection – they also support the public and patients with advice on when antibiotics are needed and when they are not. 'To reduce the threat of antimicrobial resistance, it’s important we focus on the prevention of infection everywhere, not just in hospitals. The course, which began today, includes three face-to-face teaching days in London, which will be further complemented by online learning.